We know how frustrating it is to want to play on game consoles like everyone else but struggle to be able to hold the handset to do so. That is why Game Access by LEPMIS was created. 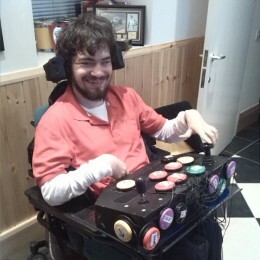 We offer disabled gamers a range of robust, well-designed products that allow access to all gaming and entertainment options available through the latest videogame consoles. Our Cross Platform Adapters – Allow you to play alongside someone who is using a standard joystick, or allow you to get some mates round and do some team play by sharing the other control functions of the Switch Access Pod with them. Switch Access Pod is an improved PlayStation 3 controller – No tiny buttons, no fiddly little thumb sticks, instead, just a box that accepts your choice of switches and quality joysticks – all placed exactly where you want them. Switch Access Pod also works with Xbox One, PlayStation 4, or Xbox 360 – Just add our converter and the official wired controller. Conquer the trickiest games together with a friend, carer or family member – You operate just the few main game controls through Switch Access Pod while your friend operates the other controls from the official wired controller plugged into our converter. Unique joysticks to get you gaming – From big and robust, through ultra smooth with familiar wheelchair control feel, to ultra sensitive for very weak hands/very little movement. We can even bring all the controller functions into one hand! Play the latest video games without a joystick – Instead, use 4 switches for forward/left/right/backward or use our clever head tilt sensor. Your fun won’t be stopped by tricky in-game button presses. We’ve built adapters that will keep you gaming through awkward multi button combo moves, rapid button mashing, or tricky timed button presses.